We are seeing more and more DIY home security options and video monitoring systems enter the market each year, which is great news for families. While of course the video and photo capture on these devices are a huge help to police if you do actually have a break-in, we think they their day-to-day benefits make them worth a look. 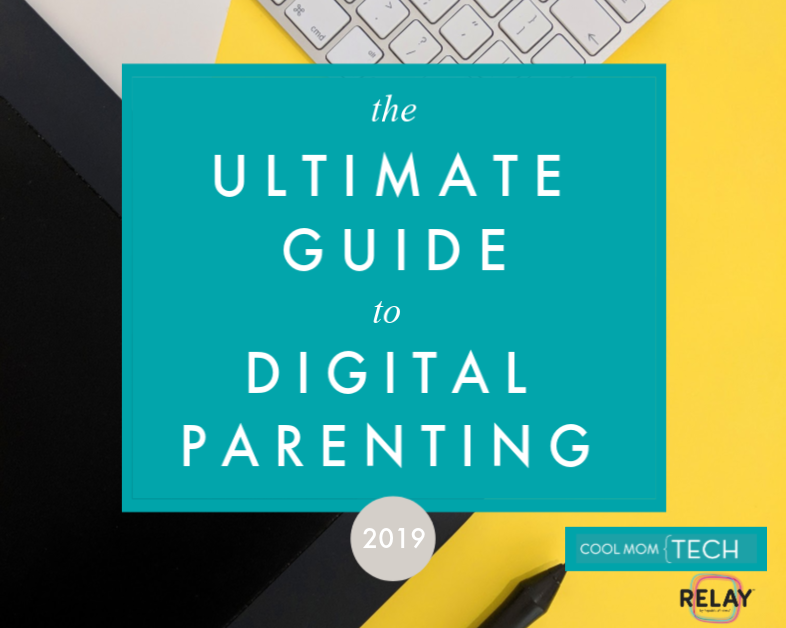 Like checking in on your tweens while you’re teaching them to stay home alone, or of course, keeping an eye on a baby who’s (supposed to be) napping. 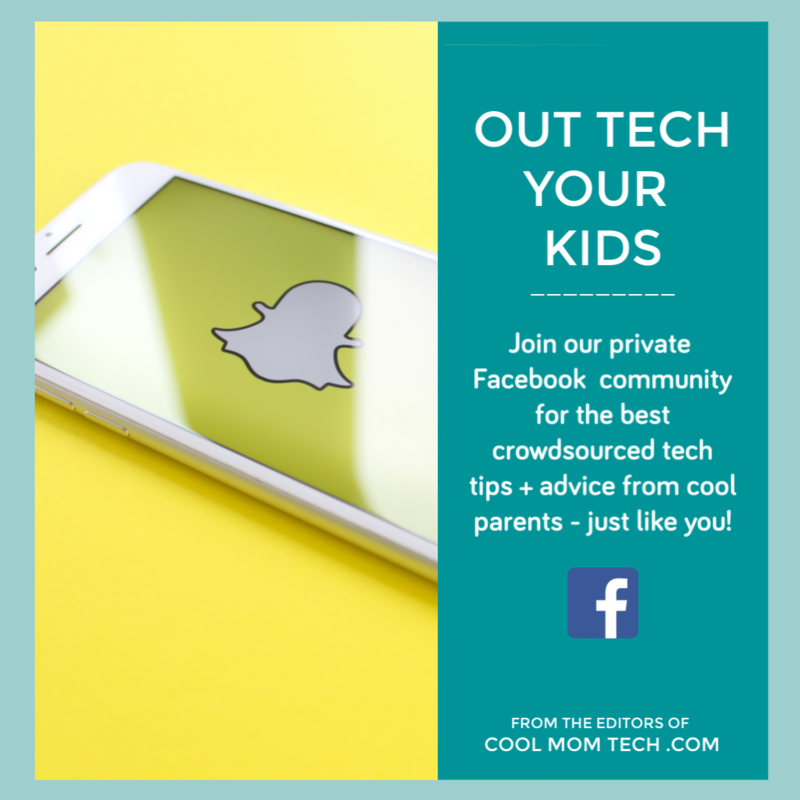 So, here are 3 video monitoring systems I’ve checked out that really stand out from the crowd, and a few thoughts about what makes each one great for parents. Take a look and see which one seems to have the features and capabilities that you’re looking for — or those you didn’t know you were looking for but now really, really want. Blink (available at our affiliate Amazon) is a fairly simple video monitoring system. It’s got the features most families want without the bells and whistles you are less likely to need. The cameras are tiny, set up is a breeze, and you get a perfectly clear picture of what’s going on right on your phone. 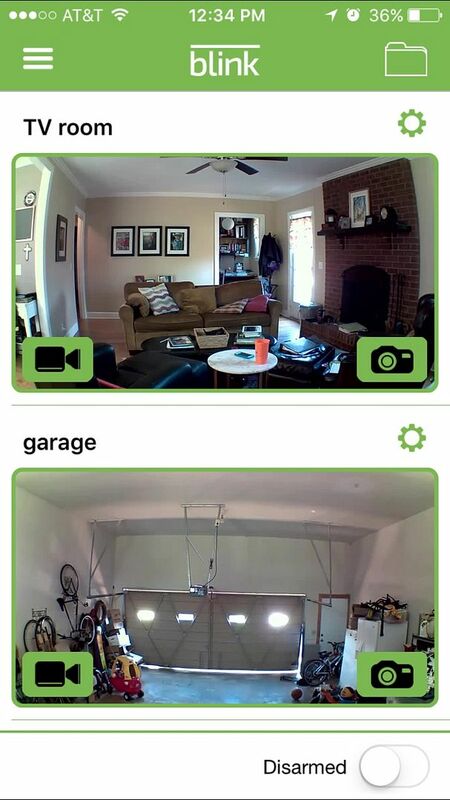 This is so great for parents who want to keep an eye on what’s going on in their house while they’re away. 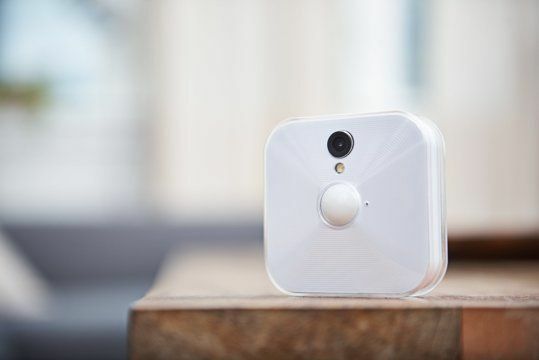 The Blink cameras are small, pocket-sized devices that connect through a sync hub — which needs to stay plugged in and connected to your WiFi for the system to work. You just add the serial numbers of the cameras to the app to connect them, then set it on a shelf or use an easy wall mount device that’s included. It sets up in about 5 minutes. Each one has a wide angle lens that will capture most of your room, and there’s also built-in LED bulbs that illuminate in low-light situations, so you get a full-color HD image night or day. In the Blink Home Monitor app (iOS and Android), you can tap the video camera icon on your room, and instantly get a clear image of what’s going on with your kids or pets. You can also hear what’s happening, though unfortunately the one-way audio doesn’t let you communicate back to them. It’s not a walkie-talkie. Set the system to Armed, and the built-in motion sensor activates, with the cameras recording HD video a fraction of a second later. Very impressive. Right now you do have to arm it manually, but an auto setting is coming soon, arm the device at a certain time each day. This fast capture is great, because (heaven forbid) you’re trying to catch the face of a person who’s broken in to your house and not just their blurry back, or you’re wanting to prove to your neighbor that it actually is their dog that’s gotten into your trash for the last week, the camera captures those images clearly and quickly. That said, if in your mind, home security requires a loud alarm to alert your neighbors, Blink isn’t for you…yet. There is a 105db alarm unit that will be an add-on to the basic set, but it’s not available at the moment. You can set up multiple Myfox cameras (available at Amazon) around your house, providing you with HD and wide angle footage, along with good nighttime image capture thanks to infrared lights for capturing images at night too. 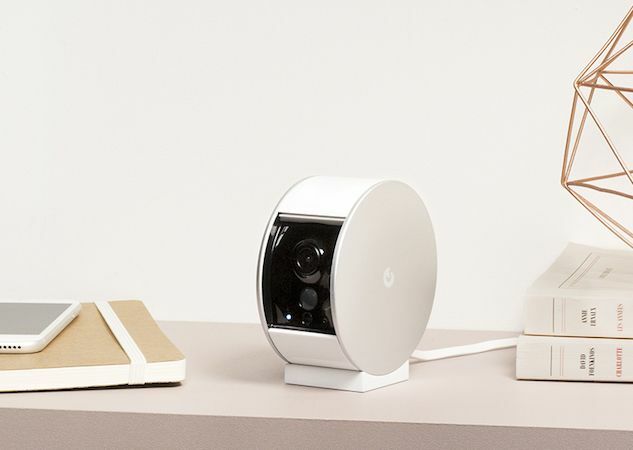 But Myfox’s big selling point is that it’s the only system with a motorized shutter, which is a nice privacy feature if you’re concerned about people hacking home monitoring systems. In other words, when you set the camera to Privacy Mode using the companion app, the shutter physically blocks anything the camera is seeing. 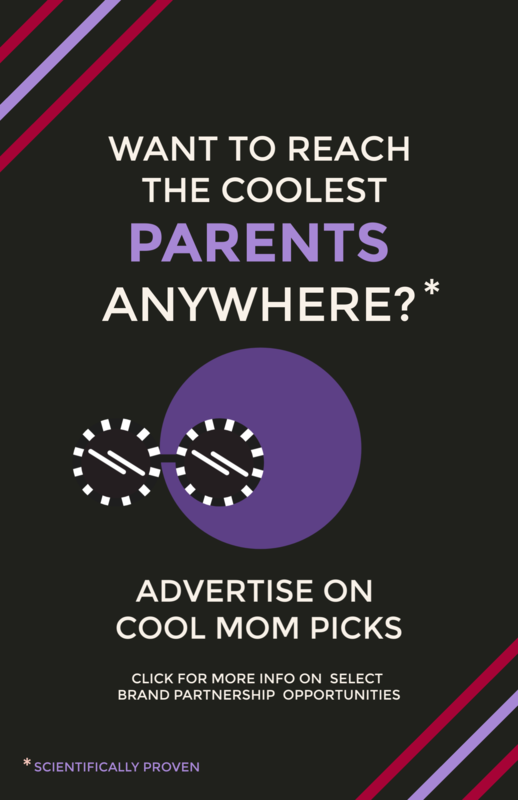 Myfox is loaded has plenty of features I think parents will like. The first is a two-way audio system, something Blink doesn’t have. I think this would make for a really easy way to check to see that the kids are home from school. 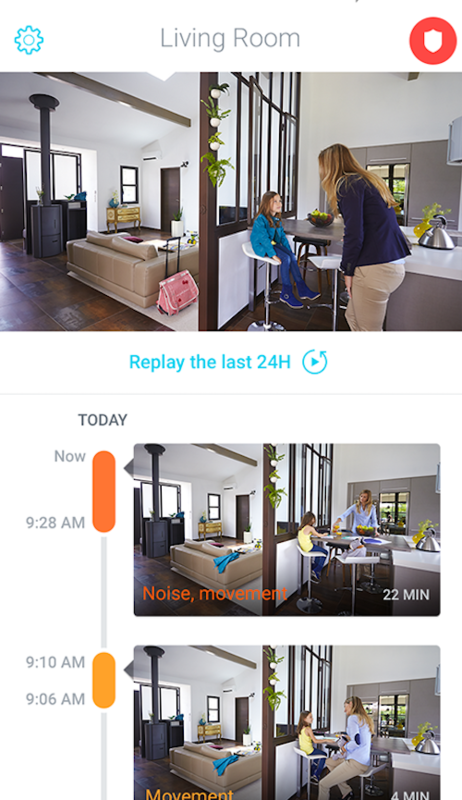 And the Away mode will notify you when there’s movement in the house (yes, they’re home from school), while you can use the microphone to tell the kids hello and to grab a snack and get started on that homework. They can even talk back to you, walkie-talkie style, although they can’t see you which is kind of a Charlie’s Angels thing going on there. 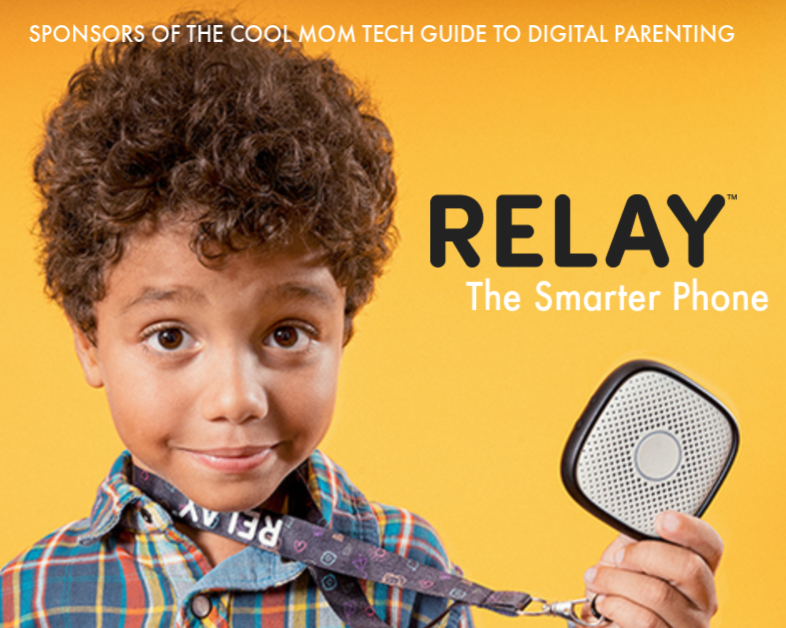 If you’re trying to use a video monitoring system like this in part as as training wheels to allowing tweens to stay home alone for short periods, that two-way speaker is a really big help for immediate communication. Without it, you have to rely on phoning them separately. 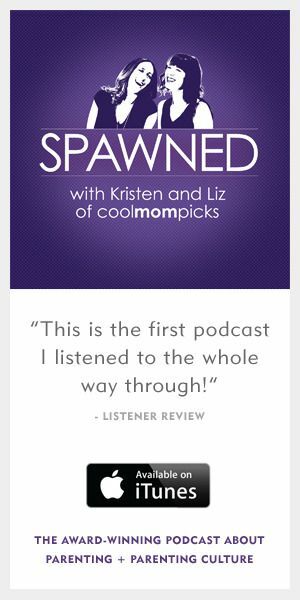 Not a huge deal, but I do think the two-way audio will have more benefits than you realize. One downside for me about Myfox — the cords. The camera only has a one-hour battery life, as compared with the Blink home monitoring system’s one-year batteries. In other words, if you want a cordless option, this isn’t it. Myfox pretty much needs to be plugged in all the time. Related: The simplest new DIY home security devices that will keep you safe. 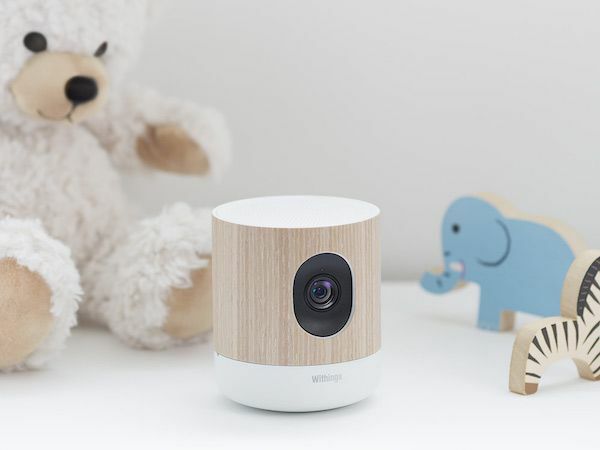 For a while now we’ve been following the rise of Withings over the past year or so, including the super fancy baby monitor from Withings called Home. We’re all still pretty impressed with all its features, beyond allowing you to log into the app to app to catch a live feed of what’s happening in your home. It does a lot more too that really makes it cutting-edge, like tracking air quality and alerting you to dangerous levels of VOCs in the house. It even plays lullabies to help children sleep, and offers a corresponding LED light show to boot. Home is the ultimate smart home device, designed to learn the patterns in your home, and alert you should something happen that’s out of the ordinary. You can fine-tune these alerts (because too many alerts can be really annoying), and check the video stream to figure out what triggered them. The lens is pretty amazing — up to 1080 pixels — and comes with advanced night vision which is especially great for checking in on fussy, sleeepless babies. You can also two-way talk through Home, to check with kids, sitters and other caregivers to make sure everyone is doing okay. And while Home doesn’t have a “mechanized” shutter that covers the camera like Blink does, you have a manual option: Just twist the wood shell to turn the camera off and cover the lens. As with most high-tech home monitoring devices developed today, Home lets you watch your feed on standard iOS devices, but the compatibility with Apple Watch and Apple TV should be a big selling point for those of you who have one. 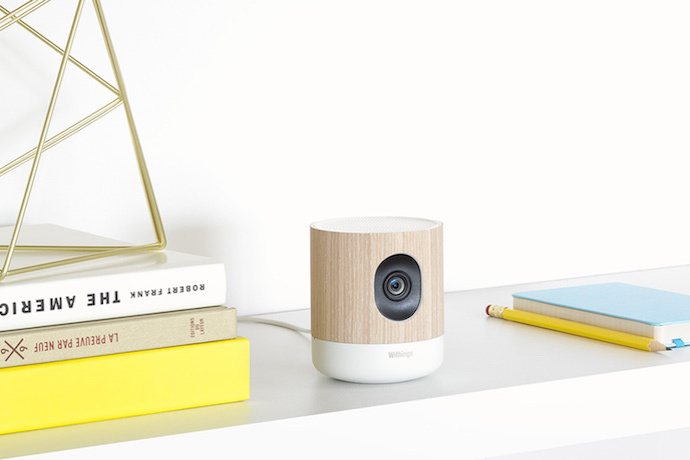 So while Withings’ Home is considered more of a super-techy baby monitor, I think it’s a great investment unlike competitors; when it’s outgrown its use in the nursery, you can can easily move it out to the family room (or any other room) for home video surveillance and two-way audio conversations with your kids. And we’re all for any tech that potentially lasts more than a year or two.